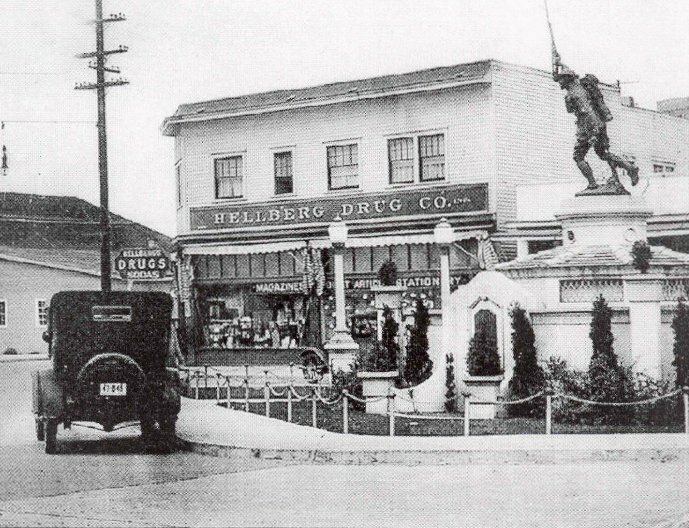 The Doughboy Monument, in honor of Clatsop County veterans who died in World War I, was dedicated in July 1926. The Doughboy Monument stands as one of the most iconic memorials in Astoria. There are quite a few variations out there about how the U.S. infantry ended up being connected to dumplings. What is clear is that the term predates World War I by a number of years and is first recorded in 1847 prior to the American Civil War. In her 1887 memoir, “Tenting on the Plains,” Elizabeth Bacon Custer, widow of infamous Gen. George Armstrong Custer, years after his last stand, said that the large brass buttons on the infantrymen’s coats resembled the small dumpling that used to be served to sailors, and the name stuck. The slang term is initially thought to be a slight that cavalrymen and officers would use against the infantry, though the term eventually became endearing. By the time the U.S. entered the First World War the term was well known and was adopted by British soldiers to denote their American allies. The term was still used at the beginning of World War II, but quickly lost favor for G.I. or G.I. Joe, which would describe a U.S. soldier until “grunt” came into popularity during the Vietnam War. The culinary term doughboy dates back much further to 1685 and is thought to be the precursor to the word doughnut.